Throughout his ministry, Billy Graham used various platforms to share the Gospel of Jesus Christ. One platform that Mr. Graham started that still continues to this day was radio. Radio broadcasting influenced many during the early stages of Billy’s crusades, and continues to be a powerful means of outreach. 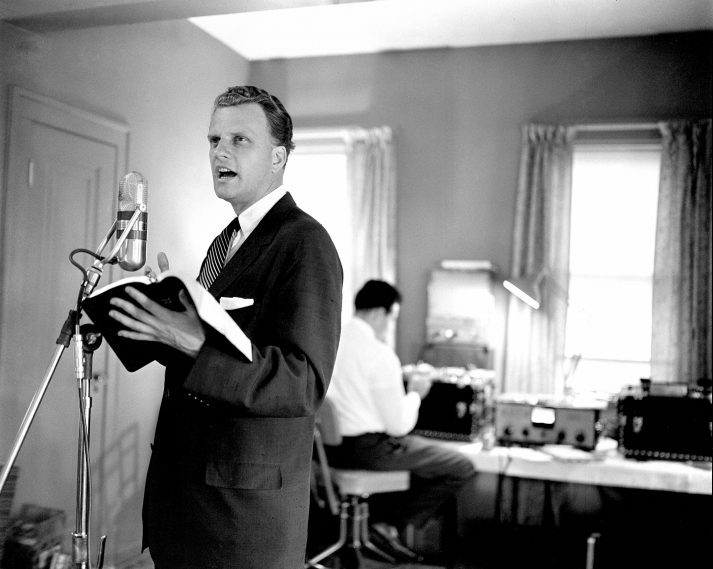 Take a look back at how Mr. Graham’s radio slot started, and how the Billy Graham Evangelistic Association (BGEA) still uses it today. The first Hour of Decision radio program aired in November 1950, and continued to proclaim the Gospel for more than six decades on hundreds of radio stations across North America. In 1950, Billy Graham was approached by two men named Fred Dienert and Walter Bennett, who felt that God was calling them to start a radio program with him. After considering his numerous commitments, Mr. Graham concluded that he did not have the time to host a radio show. The men insisted, and finally he appeased them: At the end of the night, if they should get $25,000 for the purpose of radio broadcast, then Mr. Graham would take that as God’s sign to start a national broadcast. A laugh was shared as the reality of this was highly unlikely, but nevertheless, by the end of the night people had donated exactly $25,000 without Mr. Graham’s asking for donation. In his autobiography, he recalls his reaction, “Stunned, I bowed my head and said a silent prayer… Clearly, the funds had come from God.” Shortly afterwards, Mr. Graham’s radio program, The Hour of Decision, was started. 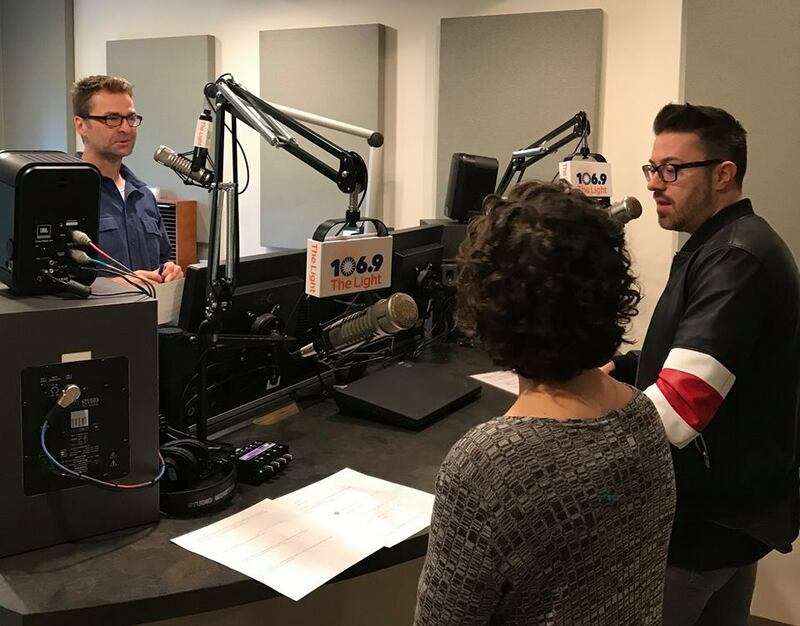 The Light welcomed Christian artist Danny Gokey to their studio for an interview with morning show hosts Troy and Tricia. Since The Hour of Decision started, the radio ministry has reached millions of people and it continues to reach many today. Owned and operated by Blue Ridge Broadcasting, The Light was founded by Billy and Ruth Graham in 1962. It seeks to make Jesus Christ known through hope-filled music and solid, powerful Bible teaching. The Light features music from leading Christian artists, teaching programs from today’s leading Christian speakers, and radio shows such as Mornings with Troy and Tricia. Their ministry is an encouragement to its listeners and continues to shine the light of Christ. Read more about the history of the Billy Graham Evangelistic Association and how it has changed through the years. I join my faith to the calling of Billy Graham that one day I will fulfill my evangelistic ministry on earth.